Welcome to the time when freezing winds, dry air and chilled temperatures together leave no stone unturned to make you 'feel the frizz' and your blankets do not let you head to the salon! Winter season is synonymous to the season of dryness. The lack of humidity and the imbalance in temperature - cold outside and warm indoors - make our hair dry, frizzy and unmanageable. 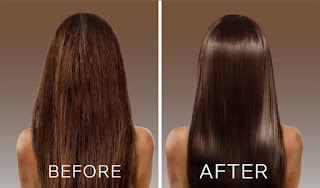 De-tangling dry hair is also very cumbersome and leads to hair fall, which further reduces the volume of your hair. Winters bring along a season of parties and it's not only difficult for our wallets and tight schedules to manage a salon visit every time before a party but also for our hair to bear the chemical products and acute heat. Moreover, equipment like dryers and straighteners add up dryness and make the hair condition even worse. But, fret not! Here are some wonderful remedies to get rid of frizz this winter at home. Use moderately warm water for washing your hair, neither too hot nor too cold. This helps close the cuticles of your hair strands, sealing in the moisture. Closed cuticles prevent dirt to enter and also shield the scalp from pollution. Don't use hair dryer to dry your hair. Intense heat from hair dryer soaks up the moisture from your hair cuticles, resulting in dry and dull hair. 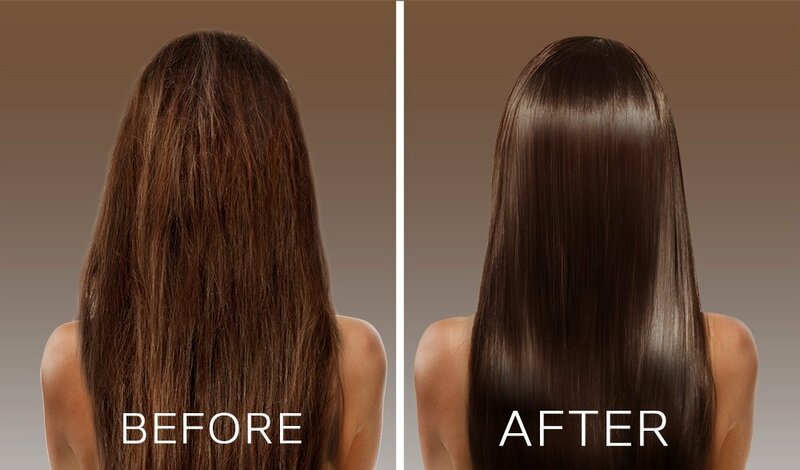 Frequent and prolonged usage of hair dryer may make your hair dry and frizzy too. Hence, avoid using artificial heat to dry your hair and let your hair dry naturally. Make a paste of one ripe banana and two avocados. Apply this mask on your scalp for 20-30 minutes and then wash it with a mild shampoo. This hair mask will give elasticity and moisture to your hair and help in smoothening the hair strands. Rice milk and honey paste is the most effective remedy of all times. All you have to do is to soak rice in water for about 15 minutes and then use that rice water to mix it with milk and honey to make a paste. Apply it on your hair for 15 to 20 minutes and then rinse your hair with lukewarm water. It will add volume to your hair and will strengthen the roots. Egg yolk is one of the best home remedies to manage your frizzy hair. All you have to do is to combine two yolks and apply it on your scalp and split ends for 20-30 minutes and wash them. This mask will give you shiny an moisturised hair. Oiling your hair is an old yet an effective method to combat frizz during the cold months. Mix castor and coconut oil and massage it on your scalp. It soothes your scalp and increases blood circulation. Moreover, it is quite effective in curing dandruff, which is one of the causes of dryness. Winter frizz is no longer a problem with these amazing natural and easy remedies.